The rent at The Alexander at Countryside Apartments ranges from $1,195 for a one bedroom to a $2,000 two bedroom. Apartments in this building are about 2% more expensive than the Clearwater average. This is a pet-friendly apartment. The Alexander at Countryside Apartments has a Walk Score of 69 out of 100. This location is Somewhat Walkable so some errands can be accomplished on foot. Welcome to The Alexander at Countryside, Clearwater Florida's newest premier luxury Apartment Community! Situated in the heart of Countryside, The Alexander at Countryside is less than a 1/2 mile away from Westfield Countryside Shopping Center, Countryside Centre Mall, fine dining and so much more. Our Community is nestled only a short drive to the area's top attractions, including Innisbrook Golf Resort which is home to the PGA Golf Tour. In addition to, we are minutes away from Honeymoon Island State Park, which features a dog beach and Caladesi Island State Park, Clearwater's #1 beach. Our location is minutes away from both the Phillies and Blue Jays Spring Training fields. The Alexander at Countryside is a 20 minute drive or a short ferry ride away from Clearwater Beach and the Clearwater Marine Aquarium. Hop on the "Jolley Trolley" for a fun filled day and ride from South Pinellas - Clearwater Beach, through Dunedin and Palm Harbor, all the way up to North Tarpon Springs, home of the Sponge Docks and the best authentic Greek cuisine around. Our well-appointed one, two and three bedroom apartment homes feature best-in-class finishes including spacious kitchens with granite countertops, moveable kitchen island, screened-in patios or solariums, whichever you prefer. Our homes are also equipped with "Smart Home" technology and so much more! Spacious garages and storage units are available as well. The Alexander at Countryside features a modern amenities package which includes our pristine Clubhouse featuring a demonstration kitchen for resident events, virtual barista coffee bar, refreshing swimming pool with an oversized shade cabana, Resident Activity Lounge with billiards including Golden-Tee, Bocce Ball; outdoor kitchen with BBQ grills a community pizza oven as well as our two 24-hour state of the art fitness centers with CrossFit machines. Discover apartment living at its finest and secure your new home at The Alexander at Countryside today! Looking for a home for sale in Clearwater? Explore how far you can travel by car, bus, bike and foot from The Alexander at Countryside Apartments. The Alexander at Countryside Apartments has some transit which means a few nearby public transportation options. 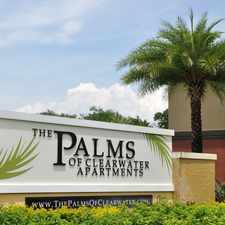 The Alexander at Countryside Apartments is in the city of Clearwater, FL. Clearwater has an average Walk Score of 43 and has 107,685 residents.